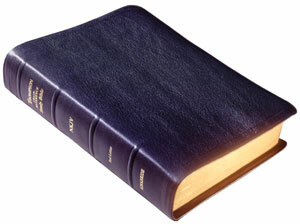 We believe the Holy Bible is God's inspired and infallible Word. The DailyWay company is not affiliated with any religious denomination, but is dedicated to encouraging people to read and study God's Word every day. We believe the Bible is unlike any other book ever published. Hebrews 4:12 reminds us, "For the word of God is quick, and powerful, and sharper than any two-edged sword, piercing even to the dividing asunder of soul and spirit, and of the joints and marrow, and is a discerner of the thoughts and intents of the heart." It is our belief that a daily reading of God's Word promotes better worship, stewardship, discipleship, fellowship and evangelism. We believe those who read their Bible are better equipped to share the good news of Jesus Christ with every man, woman, boy and girl.